Nichiren (日蓮) (February 16, 1222 – October 13, 1282), born Zennichimaro (善日麿), later Zeshō-bō Renchō (是生房蓮長), and finally Nichiren (日蓮), was a Buddhist monk of 13th century Japan. A controversial figure during his lifetime, he is founder of Nichiren Buddhism, a major Japanese Buddhist stream encompassing several schools of often widely conflicting doctrine. But does a specific letter by Nichiren constitute a condition for the validity of the daiGohonzon? What was Nichiren’s “Purpose of Advent”? Nichiren was born in the fishing village of Kominato in the province of Awa. Though Kominato still exists in today’s Chiba Prefecture, its site at the time of Nichiren’s birth is believed to be submerged in the Pacific off the coast of Chiba. Nichiren began his Buddhist study at a nearby temple, Seichoji (清澄寺, also called Kiyosumi-dera), at age 11. He was formally ordained at 16 and took the Buddhist name Zeshō-bō Renchō. He left Seichoji shortly thereafter to study in Kamakura and several years later traveled to western Japan for more in-depth study in the Kyoto–Nara area, where Japan’s major centers of Buddhist learning were located. During this time, he became convinced of the pre-eminence of the Lotus Sutra and in 1253, returned to Seichoji. On April 28, 1253, he expounded Nam Myoho Renge Kyo for the first time, marking his Sho Tempōrin (初転法輪: «first turning the wheel of the Law»). With this, he proclaimed that devotion to and practice of the Lotus Sutra was the only correct form of Buddhism for the present time period. At the same time he changed his name to Nichiren, wherein the kanji character for nichi (日) means «sun» and that for ren (蓮) means «lotus». The significance of this choice, as Nichiren himself explained it, is manifold and rooted, among other things, in passages from the Lotus Sutra. Simple explanations—such as «nichi stands for Japan«—though not wrong, should therefore not be taken by themselves or regarded as representing the whole story. After making his declaration, which all schools of Nichiren Buddhism regard as marking their foundation (立宗: risshū), Nichiren began propagating his teachings in Kamakura, then Japan’s de facto capital since it was where the shogun lived and the apparatus of government were seated. He gained a fairly large following there, consisting of both priests and laity, and many of his lay believers came from among the samurai class. Nichiren was an extremely controversial figure in his own time, and many of the schools stemming from his teachings continue to inspire controversy today (see Nichiren Buddhism). One common source of such controversy is the perception that Nichiren Buddhists insist that only the school they follow is the correct form of Buddhism, a conviction that started with Nichiren himself. Some groups today characterize Nichiren’s efforts as an attempt to reform contemporary Buddhism; Nichiren, however, was not trying to reform other sects. Rather, his intent was to have government patronage for them ceased and to dissuade people from practicing them because he was convinced that that the other schools were leading people down the wrong path, away from the «truth of the Lotus Sutra,» away from their potential enlightenment, and towards more suffering. Nichiren stated this purpose clearly, outlining it in the Risshō Ankoku Ron (立正安国論: «Treatise on securing the peace of the land through the establishment of the correct»), his first major treatise and the first of three remonstrations with the authorities. He felt that it was imperative for the sovereign to recognize and accept the singly true and correct form of Buddhism (i.e., 立正: risshō) as the only way to achieve peace and prosperity for the land and its people and end their suffering (i.e., 安国: ankoku). This «true and correct form of Buddhism,» as Nichiren saw it, entailed regarding the Lotus Sutra as the ultimate Buddhist teaching and practicing it as he taught. Based on prophecies made in several of Sakyamuni Buddha‘s sutras, Nichiren attributed the occurrence of the famines, disease, and natural disasters (especially drought, typhoons, and earthquakes) of his day to the sovereign’s and the people’s adherence to all other forms of Buddhism. He considered these to be heretical or, while perhaps fit for a previous day, unfit for contemporary times, according to a Buddhist view of time that divided history after Sakyamuni Buddha’s passing into three periods. In his treatise, he also noted that, according to the same prophecies, failure to adopt the correct form of Buddhism would leave the country open to more and some as-yet unexperienced disasters, including armed conflict and specifically internal rebellion and foreign invasion. Nichiren submitted his treatise in July 1260. Though it drew no official response, it obviously had not fallen on deaf ears inasmuch as it prompted a severe backlash, especially from among priests of other Buddhist sects. Nichiren was harassed frequently, several times with force, and often had to change dwellings; for example, he was exiled to the Izu peninsula in 1261 and nearly assassinated in November 1264. The following several years were marked by successful propagation activities in eastern Japan that generated more resentment among priests of other sects and the authorities. After one exchange with an influential priest called Ryōkan (良観), Nichiren was called in for questioning by the authorities in September 1271. He used this as an opportunity to address his second government remonstration to Hei no Saemon (平の左衛門, also called 平頼綱: Taira no Yoritsuna), a powerful police and military figure. Two days later, on September 12, Hei no Saemon and a group of soldiers abducted Nichiren from his hut at Matsubagayatsu, Kamakura. Their intent was to arrest and summarily behead him; but some sort of astronomical phenomena—a great flash of light—over the seaside Tatsunokuchi execution grounds terrified Nichiren’s executioners into inaction. The incident is known by Nichiren Buddhists as the Tatsunokuchi Persecution and regarded by many of them as a turning point in Nichiren’s lifetime called Hosshaku kempon (発迹顕本). Hosshaku kempon means «discarding the provisional and revealing the true»: Nichiren, at this point, discarded his «provisional» identity as a mortal priest and began to reveal his «true» identity as the reincarnation of the Bodhisattva Jōgyō (上行菩薩) or as the True Buddha (本仏: hombutsu), depending on which school’s interpretation you accept. Unsure of what to do with Nichiren, Hei no Saemon eventually decided to banish him to Sado, an island in the Japan Sea known for its particularly severe winters and a place from which few returned. This exile, Nichiren’s second, lasted about three years and, though harsh and in the long term detrimental to his health, represents one of the most important and productive segments of his lifetime of teaching. While on Sado, he won numerous staunch converts and wrote two of his most important doctrinal treatises, the Kaimoku Shō (開目抄: «On the opening of the eyes») and the Kanjin no Honzon Shō (観心本尊抄: «The object of devotion for observing the mind in the fifth five-hundred year period»), as well as numerous letters and minor treatises whose content contains critical components of his whole teaching. It was also during his exile on Sado, in 1272, that he inscribed the first Gohonzon (御本尊), the mandala that he intended as a graphic representation (or, in some schools, as the very embodiment) of the essence of the Lotus Sutra—Myōhō-Renge-Kyō, or the «Mystic Law» of cause and effect that underlies all phenomena in the universe (see Nam Myoho Renge Kyo). Nichiren was pardoned in February 1274 and returned to Kamakura in late March. He was again interviewed by Hei no Saemon, who now was interested in extracting information from him about a feared invasion by the Mongols: The appearance of several Mongol messengers demanding Japan’s fealty had spooked the authorities into believing that Nichiren’s prophecy of foreign invasion was about to materialize (which it did in October; see Mongol Invasions of Japan). Nichiren, however, used the audience as yet another opportunity to remonstrate with the government. His third remonstration also unheeded, Nichiren—following an old Chinese adage to the effect that if a wise man remonstrates three times but is ignored, he should leave the country—decided to go into voluntary exile on Mt. Minobu (身延山) in May 1274. With the exception of a few short journeys, Nichiren spent the rest of his life at Minobu, where he and his disciples erected a temple, Kuonji (久遠寺) and he continued writing and training his disciples. Two of his works from this period are the Senji Shō (撰時抄: «On the selection of time») and the Hōon Shō (報恩抄: «Recompense of indebtedness»), which, along with his Risshō Ankoku Ron, Kaimoku Shō, and Kanjin no Honzon Shō, constitute his Five Major Writings. He also inscribed numerous Gohonzon for bestowal upon specific disciples and lay believers. Many of these survive today in the repositories of Nichiren temples such as Taisekiji (大石寺) in Fujinomiya, Shizuoka Prefecture, which has a particularly large collection that is publicly aired once a year in April. Note: This section deals with Nichiren’s life from the perspective of the Fuji Branch, a collective name for the denominations (particularly Nichiren Shoshu) stemming from his disciple Nikkō. It describes Nichiren’s inscription of the Dai-Gohonzon, a unique Gohonzon the Fuji Branch schools purport he inscribed as described below. In the autumn of 1279, a number of Nichiren’s lay believers in the Fuji District came into the crosshairs of Gyōchi (行智), the chief priest of a temple where Nisshū (日秀), one of Nichiren’s disciples, lived. The believers, uneducated peasant farmers from the village of Atsuhara, had come to help Nisshū with the harvest of his private rice crop. Gyōchi saw this as his chance to get rid of a thorn in his side and called some local warriors to arrest the peasants, accusing them of illegally harvesting the rice. The peasants decided to defend themselves when the warriors arrived but were no match, and several were wounded; twenty were arrested and hauled off to Kamakura for trial. When they arrived, Hei no Saemon was waiting for them; but his true purpose seemed to lie more in persecuting than prosecuting, since he attempted to intimidate the peasants into renouncing their faith—on pain of death if they didn’t but in exchange for their freedom if they did. Yet despite repeated threats and even torture, they remained steadfast. Hei no Saemon even had three beheaded, but the other 17 refused to back down and he eventually freed them. These events took place on October 15, 1279. 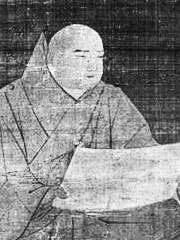 In the Nichiren Shoshu tradition (other schools vary in their interpretation of this event’s significance), Nichiren, observing from his disciples’ reports that mere peasants were ready to sacrifice themselves in the name of their faith, decided that the time was ripe for him to «reveal» the Gohonzon that he intended to fulfill the purpose his advent in this world (出世の本懐: shusse no honkai). On October 12, 1279, he inscribed the Gohonzon known as the Dai-Gohonzon, which—in contrast to other Gohonzon inscribed in this period—was intended for worship by all his disciples and believers, contemporary and future, rather than just the specific individual named on it. Note: Hundreds of Nichiren’s writings exist in their original form or as copies from original documents. One hundred seventy-two of these writings are published in English in a volume titled (WND; Soka Gakkai, Tokyo, 1999). A collection of Nichiren’s spoken lectures on the twenty-eight chapters of the as transcribed by his disciple Nikkō (1246–1333) are available in English as The Record of the Orally Transmitted Teachings (御義口伝: Ongi Kuden; Burton Watson, translator; Soka Gakkai, Tokyo, 2004). The perspective expressed in this section is presented based its author’s interpretation of Nichiren’s writings in these two works. In the letters and treatises that appear in the aforementioned works, Nichiren frequently specifically discusses the significance of the Gohonzon, sometimes referring to it as «The Object of Devotion» and «The True Object of Devotion for Observing One’s Mind.» However in the background information of the letter in which he is said by the editors of WND (i.e. the Soka Gakkai Gosho Translation Committee) to make his “sole allusion to the inscription of the object of devotion ). It is further stated in the background information accompanying this letter () that Nichiren inscribed the Dai-Gohonzon in response to reports that his followers from the Atusuhara village in Japan were prepared to sacrifice their lives for the sake of the Buddhist teaching he propagated. However, although WND editors state that in this letter Nichiren alludes to the Dai-Gohonzon, whose inscription was motivated by a particular series of events in October 1279 in which several of his followers in Atsuhara, all of whom were peasant farmers, were arrested and severely persecuted and three of them were executed on October 15, 1279, the letter contains no mentions of either the events or the names of the persecuted believers. In several other letters written over the course of his lifetime, when individual believers of staunch faith met hardships, Nichiren encouraged them personally. He often took pains to do so even while he himself was enduring severe or life-threatening persecutions and related hardships. In «On Persecutions Befalling the Sage,» while followers who honorably upheld their faith when being threatened with execution for doing so are not acknowledged, Nichiren listed the names and described the behavior of three believers who betrayed their faith and died shamefully in his view. As point 1 above suggests, omitting the names of the faithful believers in the manner described therein while listing those who betrayed their faith is inconsistent with Nichiren’s behavior over the course of his life. This inconsistency points to the possibility that Nichiren knew neither about the arrest nor the ultimate execution of the Atsuhara farmers when he wrote «On Persecutions Befalling the Sage» in October of 1279. In addition, the WND editors indicate that Nichiren inscribed the Dai Gohonzon because he saw that «his followers were now ready to give their lives if necessary to protect the Law» (ibid). This statement implies that the fact that the Atsuhara farmers were willing to be executed for the sake of the Law demonstrated to Nichiren that his disciples were prepared to make the ultimate offering when they previously had not been prepared to do so. However, in «On Persecutions Befalling the Sage» Nichiren writes, «countless numbers of disciples have been murdered,» (ibid, p. 997) thus indicating that he was well aware that many of his disciples had died while upholding his teachings. These disciples’ murders would have occurred prior to the execution of the Atsuhara farmers since this letter was written before the farmers’ executions took place. Therefore, if knowing that his disciples were willing to give their lives for the Law enabled Nichiren to realize «that the time had come» (ibid, p. 999) to inscribe the Dai Gohonzon, according to his own words, he had «countless» instances to come to this realization before the Atsuhara farmers were executed. The view presented by WND editors in the background information of «On Persecutions Befalling the Buddha» is that the heroic loyalty and devotion to faith—even in the face of death—of the Atsuhara peasant farmers motivated Nichiren to inscribe the object that epitomized his life’s work—the Dai-Gohonzon. However Nichiren makes no statement to this effect in the text itself. The editors further assert that, out of the body of his work, “On Persecutions Befalling the Sage” contains Nichiren’s “sole allusion to his inscription of the object of devotion for all humanity as the purpose of his life” (ibid p. 998). The statement that this letter contains Nichiren’s “sole allusion” to such critical information highlights the fact that although Nichiren wrote extensively about the Gohonzon in several of his writings, most notably comprehensively explaining its significance in , he did not mention it by name in the singular letter in which WND editors claim he identified the accomplishment that was the fulfillment of life’s mission—the inscription of the ultimate Gohonzon. In light of Nichiren’s compassionate behavior towards his devoted followers over the course of his lifetime, the fact that the Atsuhara peasant farmers who literally risked their lives for faith are not mentioned in «On Persecutions Befalling the Sage» underscores the possibility that Nichiren was not aware of their circumstances when he penned this letter. Because events about which the evidence strongly suggests Nichiren had no knowledge at the time that WND editors infer that he did (i.e. his followers’ arrests and executions) are said by the editors to have motivated his inscription of the Dai-Gohonzon, the contention that he in fact inscribed the Dai-Gohonzon in response to those events lacks credibility. WND editors imply that the Atsuhara peasant farmers’ martyrdom set a precedent that brought Nichiren to the realization that «the time had come to» inscribe the Dai Gohonzon. However, according to Nichiren, «countless disciples» were «murdered» for the sake of his teachings. Based on the date on which «On Persecutions Befalling the Sage» was written, these murders would have taken place prior to the execution of the Atsuhara farmers. Therefore when Nichiren learned of the farmers’ honorable and heroic actions he knew their actions were not unique among those of his disciples. By enduring historically unprecedented persecution, over the course of twenty-seven years, in response to his efforts to transmit the Lotus Sutra Buddhist teaching, the essence of which Nichiren defined as the invocation of its title, Nam-myoho-renge-kyo, he alone fulfilled the Buddha’s prediction that after his death, the would encounter even greater trials than he, the Buddha, did during his lifetime—including physical assault (WND pp. 996-997). After twenty-seven years of seeming to escape the grave of their malevolent actions toward Nichiren, people and the government that had mistreated him began to experience those effects. Additionally, powerful officials of the same government that had for years regarded Nichiren as a criminal of the state began to behave respectfully toward him. Nichiren says these outcomes fulfilled the words of the Lotus Sutra in which it is stated that the sutra’s enemies will receive negative effects for their mistreatment of its votaries and its votaries will be protected (WND p. 997). The text of «On Persecutions Befalling the Sage» supports the WND editors assertion in the work’s background information that Nichiren wrote the letter to encourage his believers in Atsuhara, who had endured persecution by their local government over the course of four years, to remain steadfast in their faith. In addition, an examination of documentary evidence provided in several other works by Nichiren as they appear in The Writings of Nichiren Daishonin and Record of the Orally Transmitted Teachings supports the contention that he originated the Gohonzon, personally inscribed Gohonzon on several occasions for various followers and defined the Gohonzon as the singularly «true object of devotion» for the practice of Buddhism. However, other than the “allusion” mentioned by WND editors, neither volume offers evidence in the form of Nichiren’s writings or lectures that he inscribed or requested the inscription of the singular object referred to as the Dai-Gohonzon. Furthermore, the statement by WND editors that “On Persecution Befalling the Sage” contains Nichiren’s “sole allusion” to this object points to the probability that Nichiren never provided explicit evidence of his having inscribed it, since the «allusion» to it to which the editors refer indicates Nichiren’s fulfillment of the prophecies of the Lotus Sutra, not his inscription of the object of worship. A close examination of the evidence regarding Nichiren’s relationship to the Dai-Gohonzon suggests that he played no role in its creation. Note: This section is a rebuttal/refutation of the foregoing one. Lack of a letter about the Dai-Gohonzon is not a proof that Nichiren did not inscribe it. In fact, lack of a letter about the Dai-Gohonzon is very significant, and it comes to topple the “conspiracy theory” that some unknown priests inscribed it instead. The reason for this is that, if the Dai-Gohonzon was the result of a “conspiracy”, then it would have been very easy for those who allegedly “fabricated” it to rather complete “the conspiracy” by fabricating a letter about it. The demand of a written letter from Nichiren, endorsing the Dai-Gohonzon, is equal to setting a condition of demand on the founder of the teachings. Nichiren inscribed more than 120 Gohonzon, but he did not associate each inscription with a “letter of endorsement». In addition to individual Gohonzon, Nichiren inscribed other Gohonzon called “General Gohonzon”, but the Dai-Gohonzon was the only one inscribed for the happiness of all mankind. One of these General Gohonzon is called Manen Kugo daiHonzon, currently enshrined at Fujisan Honmonji temple. This GoHonzon is accepted by all schools of Nichiren’s Buddhism to be authentically inscribed by Nichiren, but there is no letter of endorsement available about it. This fact undermines the argument that only a letter of endorsement about the daiGohonzon makes it “valid”. To view “the validity of a Buddhist doctrine” as relevant to a letter about it, runs contrary to Nichiren’s teachings, in which he defines the validity of a Buddhist doctrine by the Three Proofs (see #The Dai-Gohonzon = Nichiren’s Compassion and #The Three Proofs of the Dai-Gohonzon, below. ..in this letter Nichiren..indicat..that he had fulfilled his life’s purpose: 1. y enduring historically unprecedented persecution, over the course of twenty-seven years..he alone fulfilled the Buddha’s prediction that after his death, the Lotus Sutra’s votary would encounter even greater trials.. Comment: At the start of the Gosho at hand, Nichiren reminded his disciples that the persecution he endured were: “well known to you”. Being “well known” then, there was nothing new in the text as an “indicator” regarding hardships and being a Votary! In many previous letters, Nichiren openly declared that he was the Votary of the Lotus Sutra, and he wrote in much greater details about the persecutions he went through. The true indicator is that this Gosho at hand is about his “ purpose of advent”, which he previously defined as “inscribing Gohonzon”. 2. Additionally, powerful officials..began to behave respectfully toward him. Nichiren never ever cared about ‘gaining the authorities respect’, nor could this “respect” be his purpose of advent. Besides, his disciples were tortured at the time of writing this letter. How one can suggest that he gained “governemt respect” , while the government was persecuting his disciple ? Nichiren says these outcomes fulfilled the words of the Lotus Sutra in which it is stated that the sutra’s enemies will receive negative effects for their mistreatment of its votaries and its votaries will be protected. The enemies of the Lotus Sutra were the government authorities and they induced negative effects by persecuting Nichiren’s followers! It is not difficult to conclude the “2 indicators” mentioned in above article article are inconsistent and irrelevant, and that the article fails to clarify what was Nichiren’s purpose of advent. Long before inscribing the Gohonzon, Nichiren predicted the future emergence of generations of his followers: “If Nichiren’s compassion is truly great and encompassing, Nam Myoho-Renge-Kyo will spread for ten thousand years and more, for all eternity” WND/p:736. The validity of this statement can be tested by the fact, that in reality, millions of Nichiren’s followers did and continue to emerge. The practice of Nichiren’s followers and the spread of Nam Myoho Renge Kyo would not have been possible without the Object of Veneration, which Nichiren inscribed for them. I have written down some of my thoughts concerning the True Object of Worship and I am sending the treatise to you, Ota, Soya and the others. It concerns a very important matter, the purpose of my advent. ”(«The Object of Devotion, WND, p. 377). The Gohonzon marked a new phase in the history of Buddhism, in which a shift occurred: from Shakyamuni’s statue worship, to revering Buddhahood — embodied in the Gohonzon — as the supreme object of veneration in the world: “Believe in the Gohonzon, the supreme object of worship in the world” («The True Aspect of All Phenomena,» WND, p. 386). In his own words, Nichiren defined the inscription of the Gohonzon as the goal and the reason for his appearance: “This is the purpose of my advent in this world” (”On the Treasure Tower,» WND, p. 300). Since 1271, Nichiren inscribed many individual Gohonzon for his immediate followers. Some sources refer to the existence of more than 120 mandalas, which survived until this time. Although he inscribed individual Gohonzon, still the final goal of his advent: the inscription of a Gohonzon for all people, has yet to be fulfilled. Nichiren revealed that he waited 27 years (from the date of declaring the daimoku), to finally arrive to the time of achieving his final purpose of advent “ The Buddha fulfilled the purpose of his advent in a little over forty years… For me it took twenty seven years.” p:966. This statement has no other explanation than pointing to the final purpose of Nichiren’s advent :inscribing a Gohonzon for coming generations, for those who would carry his teachings into the future. The proof of Nichiren’s concern and compassion for future generations of Bodhisattvas can be found in today’s world wide spread of millions of copies Gohonzon based on the daiGohonzon, in a process destined for further growth. Conditions for inscribing the daiGohonzon emerged after 27 years of Nichiren’s propagation, when mass persecution to his followers occurred. The meaning of that event was that : Nichiren’s teachings have been transferred to a generation of ordinary people, who would not bend before the any authority. The group of believers at the Atsuhara Province — who would not discard their faith despite persecution – constituted the first generation of Bodhisattvas, who took on themselves the protection of Nichiren’s teachings. With the emergence of these Bodhisattvas, the process of future propagation became inevitable. To ensure future propagation, Nichiren’s purpose of advent, the inscription of the Gohonzon for all the people, became a necessity. Obviously, Nichiren’s inscription of the “Gohonzon for all humanity” as the Object of Veneration constitutes a doctrine, which brings a challenge to various Buddhist schools. The challenge is easy to understand. Various Buddhist schools consider the statue of Shakyamuni Buddha as their Object of Worship. Even the different Nichiren sects, who theoretically acknowledge the Gohonzon, have in reality the tendency to worship Shakyamuni – and would frequently mix the Gohonzon with a statue. Similar to god’s worship, Shakyamuni worship is deeply rooted in the mind of many people, making him an eternal figure. Nichiren, however was very clear in stating the supremacy of the Gohonzon over Shakyamuni’s worship, and he did not consider Buddhahood to be a property of Shakyamuni alone: “The two Buddhas, Shakyamuni and Taho, are merely functions of the True Buddha, while Myoho-renge-kyo actually is the True Buddha” («The True Aspect of All Phenomena,» WND, p. 384). Nichiren also mentioned that the Lotus Sutra (Gohonzon) is the parent of all Buddhas, past, present and future: “Nam Myoho Renge Kyo, the heart of the Life Span chapter, is the mother of all Buddhas throughout the ten directions and the three existences ” (WND, p. 184). Nichiren’s teaching about the Gohonzon come in conflict with statue worship. In order to hold their beliefs, however, that the Object of Veneration is the statue of Shakyamuni Buddha, various sects have no option but to cast doubts about the daiGohonzon. For example, Nichiren Shu is a sect which belief is centered on Shakyamuni’s worship through five different forms of Object for Veneration , as mentioned in: «Different Forms of the Object of Veneration.» For this reason, the doctrine of the daiGohonzon comes in conflict with the Nichiren Shu’s beliefs. In this atmosphere of beliefs in five different forms of Object of Veneration, a Gohonzon for all Humanity is seen — not as an expression of Nichiren’s compassion and wisdom — but as a result of a “Conspiracy” initiated by some unknown priests, who inscribed it after Nichiren passed away. Documentary Proof: requiring that the doctrine of a particular Buddhist school is based on — or accords with — the sutras (the Lotus Sutra in particular). Theoretical Proof: requiring that the examined doctrine is compatible with reason, displaying logical consistency with the intent and purpose of Buddhism. Actual Proof: requiring that the doctrine manifest its truth in the reality of the daily lives of ordinary people. «Nothing is more certain than the actual proof» («The Teaching, Practice, and Proof,» WND, p. 478). This “Great Desire of the Buddha” is perfectly embodied in the doctrine of the dai-Gohonzon, a “Gohonzon for all people” as the Object of Veneration for future generations. The dai-Gohonzon is in complete accord with the Lotus Sutra as well as with all of Nichiren’s teachings.Nichiren was very clear at declaring that the purpose of his advent was inscribing the Gohonzon: «.. I will inscribe the treasure tower especially for you. This is the reason for my advent in this world” («On the Treasure Tower,» WND, p. 300).But even after he inscribed tens of Gohonzons specifically for individual believers, he did not consider his purpose of advent to be fulfilled yet until the year 1279, the year of inscribing the Dai-Gohonzon for all humanity. Nichiren clearly refers to «fulfilling his purpose» only in 1279 in his letter “Persecutions Befalling the Sage,” where he stated “Now in the second year of Koan (1279), it is twenty-seven years since I first -proclaimed the true teaching at Seicho-ji temple..The Buddha fulfilled the purpose of his advent in a little over forty years..For me it took twenty-seven years” («On Persecutions Befalling the Sage,» WND, p. 966)Most of the 120 Gohonzons extant today were inscribed before 1279, the year which he declared as the year of fulfilling the purpose of his advent, and the year of inscribing the dai-Gohonzon for all humanity. As a concept, a Gohonzon for all people is consistent with Nichiren’s intent to spread his teachings to all people of the world: “If Nichiren’s compassion is truly great and encompassing, Nam Myoho-Renge-Kyo will spread for ten thousand years and more, for all eternity” On Repaying Debts of Gratitude p. 736). From this perspective, a “Gohonzon for all people” becomes a rather logical requirement and a necessary vehicle for global propagation.Various passages of the Gosho refer to global propagation of Nichiren’s teachings, propagation, which necessitates the existence of Gohonzon. . All of Nichiren’s teachings were encapsulated in the Gohonzon, and in fact, in his own words, all his life. In his letter «The Teaching, Practice and Proof,» Nichiren Daishonin wrote: “From a more profound viewpoint, the ‘Lotus Sutra will spread throughout the ten thousand years of the Latter Day'» («The Teaching, Practice, and Proof,» WND, p. 474) and «‘The Mystic Law shall spread and benefit mankind far into the future.’ Does this annotation suggest anything other than the ten thousand years of the Latter Day of the Law?” Inscribing the dai-Gohonzon served to realise the mission of the Lotus Sutra: “..the transmission of Myoho-renge-kyo to all living beings throughout the land of Jambudvipa” (ibid, p. 480). The Daishonin said “Even more valuable than reason and documentary proof is the proof of actual fact” Three Tripitaka Masters Pray for Rain p.599). In actual reality, millions of Gohonzons’ based on the dai-Gohonzon have been enshrined in various corners of the globe. The purpose of the dai-Gohonzon as a “mandala for all people”, did materialize in reality, starting from the second half of the 20th century, on a wide scale, covering most countries and territories in the world. Actual Proof is found in the daily lives of people who are chanting to these Gohonzons’. As Nichiren predicted, his followers who emerged to spread the Gohonzon are from all backgrounds and races of mankind. The existance of millions of Gohonzons based on the Dai-Gohonzon is a fact, which is destined to grow deeper through the sincere practice of Nichiren’s followers of the most diverse Buddhist group in the world, the SGI. This fact does not deny the validity of other Gohonzons. Currently, various Buddhist groups are striving to propagate Buddhism according to their own doctrines and interpretations, and some of these Buddhist schools employ also the Daimoku and the Gohonzon. In the same time, there are other dai-Honzon inscribed by the Daishonin, such as the Mannen Kugo Dai-Honzon, and others. However, the Buddhist practice to these dai-Honzons is in reality limited to the local temples of their current enshrinement, and has not actualised in worldwide propagation, a condition that fulfils Nichiren’s intent and will. The actual proof of Nichiren’s compassion, through his inscription of the Gohonzon for all humanity, is found in the incalculable experiences of millions of Bodhisattvas and their families, opening the way for Kosen-Rufu, and in this way fulfilling Nichiren’s will. Nichiren spent his final years writing, inscribing Gohonzon for his disciples and believers, and delivering sermons. But his health began to fail, and several people encouraged him to travel to hot springs for their medicinal benefits. He left Minobu in the company of several disciples on September 8, 1282. Upon arrival ten days later at the residence of Ikegami Munenaka, a lay believer who lived in what is now Ikegami, Tokyo, Nichiren sensed that his end was near and he began to make preparations. On September 25 he delivered his last sermon on the Risshō Ankoku Ron, and on October 8 he appointed six senior disciples—Nisshō (日昭), Nichirō (日朗), Nikkō (日興), Nikō (日向), Nichiji (日持), and Nicchō (日頂)—to continue leading propagation of his teachings after he was gone. On October 13, 1282, at the hour of the dragon (around 8:00am), Nichiren «passed into nirvana» in the presence of many disciples and lay believers. His funeral and cremation took place the following day. His disciple Nikkō left Ikegami with Nichiren’s ashes on October 21, reaching Minobu on October 25. Nichiren’s original tomb is sited, as per his request, at Kuonji; at least some of his ashes are also kept at Taisekiji. Some Nichiren schools refer to the entirety of Nichiren’s Buddhism as his «lifetime of teaching,» quite an apt description in light of the number of writings he left behind. Many are still extant in his original hand, some in full and some in fragments, and yet more survive as copies made by his immediate disciples. Today, students of Nichiren—whether as faithful or as academic—have access to well over 700 of his works, including transcriptions of orally delivered lectures, letters of remonstration, and even graphic illustrations. In addition to treatises written in kanbun (漢文), a formal writing style modeled on classical Chinese that was the language of government and learning in contemporary Japan, Nichiren also wrote expositories and letters to disciples and lay followers in mixed-kanji–kana vernacular as well as letters in simple kana for believers who could not read the more-formal styles. Some of Nichiren’s kanbun works, especially the Risshō Ankoku Ron, are considered exemplary masterworks of the style, while many of his letters show unusual empathy and understanding for the down-trodden of his day. Many modern observers also read a political message into several of his works, and during the pre-World War II period the government even insisted that numerous passages and even whole documents be deleted from published collections of his works because they were considered insulting to the emperor. Nichiren’s writings are known collectively as go-ibun or gosho and are available in a number of compilations, some more comprehensive than others. Several appear in Iwanami Shoten’s 102-volume anthology of classical Japanese literature published in the late 1950s and early 60s, as well as other similar collections of classical literature. The most famous of the dedicated compilations is the Nichiren Daishonin Gosho Zenshu (日蓮大聖人御書全集: «The complete works of Nichiren Daishonin») compiled by 59th Nichiren Shoshu High Priest Hori Nichiko and first published in 1952 and revised and reprinted several times subsequently by Soka Gakkai. Taisekiji also issued a new compilation in 1994 called Heisei Shimpen Nichiren Daishonin Gosho (平成新編　日蓮大聖人御書). This book presents Nichiren’s writings in chronological order starting with an essay authored in 1242 (around the time Nichiren was studying at Mt. Hiei in Kyoto) and including 81 works not published in the aforementioned Gosho Zenshu, excluding 32 that had been previously published in another compilation but since judged by this compilation’s editors as unauthentic, and identifying 17 whose authenticity its editors could not confirm. See the references and external links below for access to English translations. After Nichiren’s death, his teachings were interpreted in different ways by several of his disciples, in particular the six senior priests (or elders) whom he named shortly before his passing. As a result, Nichiren Buddhism encompasses several major branches and minor schools, each with its own set of interpretations of Nichiren’s teachings. Some of these schools are more, and some less, similar to the others depending on the detail, but the most significant differences focus on schools’ positioning of Nichiren in the development of Buddhist history and their objects of veneration. See Nichiren Buddhism: Schools and Nichiren Buddhism: Doctrine and practices for more information. Since his passing Nichiren has been known by several posthumous names intended to express respect for him or to represent his position in the history of Buddhism. Most common among these are Nichiren Shōnin (日蓮上人; usually rendered «St. Nichiren» in English) and Nichiren Daishōnin (日蓮大聖人; «Great Holy Man Nichiren»). Preference for these titles generally depends on the school a person adheres to, with Nichiren Shōnin being most commonly used and Nichiren Daishōnin preferred by followers of schools derived from the Nikko lineages. Japanese Nichiren Buddhists always refer to Nichiren using one of these respectful forms of address, or by a title of respect alone (e.g., «the Daishōnin«) and may be offended if the title is omitted (as in this article). The Japanese imperial court also awarded Nichiren the honorific designations Nichiren Daibosatsu (日蓮大菩薩; «Great Boddhisattva Nichiren») and Risshō Daishi (立正大師; «Great Teacher Risshō); the former title was granted in 1358 and the latter, in 1922. A Dictionary of Buddhist Terms and Concepts, Nichiren Shoshu International Center (NSIC), Tokyo, 1983. ISBN 4-88872-014-5. Note: NSIC, publisher of the foregoing two works, is no longer connected with Nichiren Shoshu. Full disclosure statement: Soka Gakkai retains the copyrights on the foregoing two works and financed their publication; nonetheless, they show some deviation from similar works currently published under Soka Gakkai’s own name.